When Snapchat became insanely popular among the audience, the curiosity of hacking someone's Snapchat reached a higher level. Several Snapchat hack solutions were introduced; some came up with launching websites to hack Snapchat while others developed apps to carry out the hack process. Much to their dismay, none of these Snapchat hack solutions worked. Despite hackers' continuous attempts, they could not be able to sneak into someone's Snapchat account. In fact, it didn't take them much time to reach a conclusion that it's not possible to carry out a Snapchat account, given the security measures the company has opted for. You would be surprised to know that despite the security measures around one's Snapchat account, you can still hack their account and monitor their complete Snapchat activity. We are certainly not talking about the bogus Snapchat hack online tools claiming to allow you access to someone's account. You will come across many fake Snapchat hack tools on the internet that blatantly claim to hack a Snapchat ID. However, most of them do not work at all. 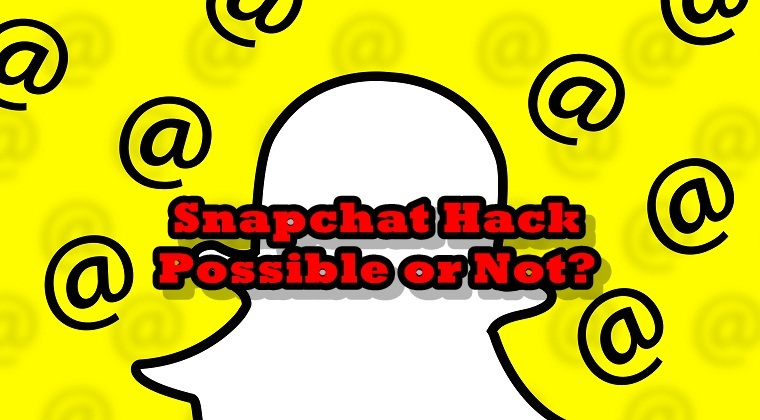 When you look up for Snapchat hack tools on the internet, you will stumble upon several online tools where you will be asked to enter the Snapchat username you want to hack and then wait until they finish the hack process. As soon as your waiting time terminates, you will be redirected to a link where either they will ask you to download a particular program or fill out an online survey to confirm your human identity. While these Snapchat hack tools assure to provide results, it is disappointing to learn that even after completing all the steps they've mentioned, you realize the tools do not offer any fruitful result and end up being completely fake. All the developers do is make you visit their online pages in order to increase their visits and clicks. Fortunately, we still have a way around hacking someone's Snapchat account. Monitoring tools like Mobistealth are used for this purpose. Mobistealth may not be used for hacking but it can be used for monitoring someone's Snapchat activity. When Mobistealth is successfully deployed on someone's device, it starts monitoring all their Snapchat activity and then reports all the information on your online dashboard. Using Mobistealth is really simple and easy. All you need to do is install and download the Mobistealth monitoring solution, be it the computer program or the app, depending upon what sort of device your target is using, and then get it installed on their device. Once Mobistealth is installed, it starts working stealthily in your target's device, recording and logging all their Snapchat activity including the text messages, pictures, and videos they share with others on the social media app and then sends all the information to your online account. You get to monitor their Snapchat activity remotely from the online dashboard anywhere and at any time. This monitoring solution is one of the best and credible monitoring tools available right now and comes with a super user-friendly interface, without making its use complicated for you. For parents who are concerned about their child's Snapchat activity or for employers who may want to know how much time their employers are spending on the app on the company-owned devices, this app works wonders.